It took almost a month. But we have a new poll topper — Italy’s Mahmood. He won Sanremo on Saturday, thanks to overwhelming jury support, and now he’s captured the hearts of Eurofans. He might have blown hot and cold on his decision to accept the ticket to Tel Aviv, but that didn’t dissuade y’all from voting for him in your thousands. Of the 14,534 votes cast, the “Soldi” singer picked up 3,936 (27.08%). Mahmood’s number one position remained unchallenged all week. However, there was much movement elsewhere in the rankings. At the mid-way point France’s Bilal Hassani sat in sixth place. Who is your favourite Eurovision 2019 act so far? However, after a little bout of canvassing, he galvanised his fanbase and surged to second. You gotta werk to get those votes! The Destination Eurovision champ saw 3,755 votes go towards “Roi”. That’s 25.84% of all votes cast. In third spot we have former poll leader Miki. After three weeks on top, the Spanish charmer has been toppled. Nonetheless, “La Venda” took home a very impressive 2,143 votes (14.74%). That tally would have secured him victory in any of the previous weeks. For the fourth consecutive poll, the OT star is immediately followed by Albania’s FiK winner Jonida Maliqi. The “Ktheju Tokës” songstress attracted 1,620 votes (11.15%). The top five is rounded out by Australia’s Kate Miller-Heidke. Her skyscraping skirt took her to new heights in the inaugural national final down under, and “Zero Gravity” won over 1,291 of you (8.88%). Meanwhile, Montenegro’s D-Moll take the unenviable last place. “Heaven” garnered them just 149 votes (1.02%). Luckily for them, they’ll have a chance to bounce back next week. Because now it’s time for the votes to be reset. The poll will reopen after the weekend when entries from Latvia, Estonia, Slovenia, Croatia and Romania will join the race. What do you think of the current standings? Does Italy deserve to be number one? Who’s your Eurovision favourite? Let us know below. VOTE IN ALL OUR EUROVISION 2019 POLLS. Poll: Should Monika Marija sing “Criminal” or “Light On” in the grand final of Lithuania’s Eurovizijos Atranka? Let’s hope for amazing songs to be chosen tomorrow! Looking forward to it! the best is definitely Italy. Spains votes are influenced by spanish eurofans so i wouldnt take it seriously. They did the same with almaia. Miki has the worst song. have you saw France eurofans… always speaking about spanish ;). Am I the only one who likes Montenegro’s song or Czech’s song? You can like or not ”Soldi”, but it’s a fact that it stands out among these. I think it will do well in ESC too. I like also Spain’s fun song, others are just meh to me. That’s my 2c. I’m going to avoid ranking till all the songs are out. Shall we do the poll again when the other songs are released this weekend. Heck its getting annoying af. The sign on the door. That’s what you get when you didn’t pick 2000 and Whatever, Australia! People want something new from you but not this campy mess! Italy is by far the best entry this year. I think the best song by far is leading 🙂 Go Italy! France: NO COMMENT! I would guess it bodes poorly that Australia is already in fifth and finishing behind folks like Albania. Yep, I can’t find any other reason why is is SECOND! Stange! Many people can’t stand neither him nor the song (me included). It’s generally disliked by fans. I don’t think this 2nd place doesn’t show the actual poulairty of the song among fans! Happy you included that very important fact. I hadn’t checked this poll in some time so when I saw the results and the distant 5th placer suddenly surge to 2nd didn’t make much sense. France second and Spain third?? Really?? Can’t believe how Bilal is so overrated!! I completely agree! So many people disliking him / the song. Yet 2nd. Something is VERY strange. Do people find the songs THAT bad this year? Poland already announced their artist! It’s a folk band named Tulia! Check theirs cover of Nothing Else Matters. Australia is the best song so far in my view. I know you don’t like it, but saying they can do much better is contingent on the voters in May agreeing with your which I don’t think they will. Trust me Australia will do better than most of you thought. Most viewers during semis and finals are first time listeners and viewers of the performance. Remember Denmark last year and with their televote score? Come on!! Denmark 2018 was EPIC!! The live performance was really good too. Australia 2019 is just ridiculous. I am sure it will be in the final for its WTF factor but it won’t do well there. Denmark had a good song, though. France’s results are obviously invalid. The poll was shared to his Youtube fandom. But I agree with the rest. Go Mahmood! He’s creating a suddenly large fan base here in Italy, and I have the feeling he can have crossover appeal to both juries and televoters. Fingers crossed! I wouldn’t mind France’s song, if only it wasn’t sung in two languages! Just pick one and go with it. I’m really hoping he finds a way to convey the meaning of his lyrics to an international audience. The song is very good by itself, but the lyrics push it into another dimension of goodness. However, I agree with the poll- Italy is the biggest favourite to win, even for my old ears. I don’t think there is anything conclusive on demographics for the whole of Eurovision in recent years. Someone should probably do a study. These polls are pointless and ridiculous. They’re just a bit of fun and act as an indication, not to be taken so seriously. That’s a cool pic of Mahmood. Spilt milk indeed. At least the trolls only made it to second place. Oh Italy, France and Spain are in the top 3, what a surprise. Overhyped entries that will flop in may. Australia at 5th is a crime. Literally no one hypes France. Or Spain. Except for spanish eurofans, like every year!! “Australia at 5th is a crime”. So true. It should be last. That is a novelty act. I love opera and she is talented. But who in their damn minds mixes opera with dance tune? That’s just ridiculous my friend. Australia’s entry is really embarassing. It’s impossible to take that serious. I think that some people like it because of her voice. She will appeal to those who love campy stuff in Eurovision. I thought Croatia 2017 was horrible but it was still saved by the televote. So I can forsee this doing really well with televote. I agree. But Australia’s only power in Eurovision are juries and this entry won’t just work with them. 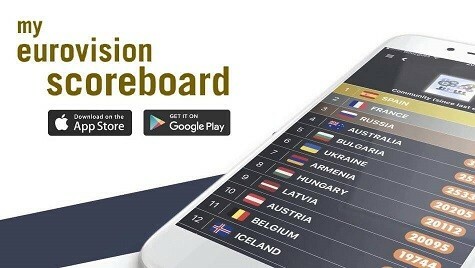 I can’t see many Europeans picking up their phones and vote for Australia in Eurovision. xD They are not Croatia or Romania. Australia did pretty well with televote in 2015 and 2016 so I don’t think they only have juries power. They recently lack televote power because the performances from 17 and 18 were too weak and not memorable enough. This year is way too campy so it can go either way, imo. I respect it, but why is “opera with dance” ridiculous? It’s about creating something new and no generic, boring mainstream heard 1000 times before. Sorry to say but if you forget about her singing skills, the melody and lyrics are so generic, it’s just a pop song with a big swirl in the end. Italy is so overrated, his voice live sounds awful. He sounds like a goat live. And the song is nothing special. I really don’t understand the hype. France was 3rd to last before the attack, and it’s pretty much where Roi sits on. And afterwards, France moves to second place! Something must be done! When will the Polish song be released? The broadcaster previously said it will be released sometime today, but they haven’t given any specifics. Jonida just finished the recording of the revamped version of Ktheju Tokes in Gothenburg. You can listen to some snippets of it in her IG stories. Who reminded Bilal fanboys about Eurovision? -_- They were gone for good since Bilal was chosen. Can we go like one week without having a poll stormed by some annoying fans? Roi was so far down the poll… Mahmood led it with 32% for DAYS, followed by Miki with 18% or something. Wtf happened? At least the Bilal stans didn’t manage to push him through to the 1st place… I don’t want to be rude, bc in the end it’s just an internet poll, but it’s still annoying. I assure you Bilal will get bottom 5 result in May and he’s actually competing for the last place. You may ask why am I so sure. Simple. Eurovision jury will totally ignore it because I don’t remember such a weak performer in Eurovision final since Manel Navarro. And he won’t do well with the televote either. Even Eurovision fans did not like it. He can only do well within France because he is a Youtube persona and he has some fans there. Yeah, maybe he won’t be last but he’s not going further than 20th place in my opinion. We should wait until we have more songs to fully judge tho. I honestly don’t see LGBT getting behind France 2019. This is not the Conchita case. Our boy Bilal can’t sing, he has zero stage charisma and the song is just super cliche. Does that make you happy? You have the right not to like an artist but to wish him a last place when the final version of the song has not even been released makes no sense. It’s childish. He does deserve the last place! There were much better entries in Destination Eurovision. He won for non musical reasons and that’s no secret to anyone. He has fan base in France for being the Youtube persona. 2. The song is ridiculously clichéd. « He’s trying way too hard to use LGBT card to achieve success and that’s just embarassing (I’m gay too. » I’m sorry but that’s just not true. Bilal is just being himself, he has always been like that, and he has just decided to submit an entry for DE. But he hasn’t changed anything about himself just to « achieve success ». Oh comee ooon!! He is not the only guy who likes wearing wigs in this world and we have had them in Eurovision for years. But none of them walks around like “Oh I’m getting threats because who I am. Oh I’m getting bullied on social media. I’m gonna sue them all.” He is a Drama Queen and not so many people like people as such, just saying. I suspect he’ll get votes from Belgium and maybe Switzerland. His fanbase seems to extend there as well.